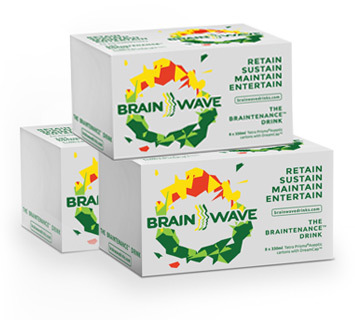 Brainwave is a delicious still soft drink, packed full of good for you ingredients to retain, sustain, maintain and entertain your brain. That’s why it’s the BraintenanceTM drink. And what’s more, we pledge 10% of profits to funding research into Alzheimer’s and dementia. Doing good tastes good.